Stephanie loves dessert. She also loves to bake delicious new recipes to share with family and friends. Looking for a healthy on-the-go breakfast or mid-morning snack? This low fat bran muffin made with applesauce, banana and raisins will provide a nutritious and filling substitute for cereal or toast. With only 77 calories per muffin, feel free to grab two to have with your morning coffee or on the way to work. Although each muffin has only about two grams of fat, the applesauce and fruit make the muffins moist and rich tasting. These muffins freeze well, so extras can be popped in the freezer and thawed in the microwave for a quick, nutritious breakfast or snack. In fact, if the muffins won't be eaten within two days, freezing them will keep them fresh. Knowing the importance of a good breakfast, I developed this recipe when I was working and never seemed to have time to eat during the morning rush of getting ready for work. I packaged the muffins in zip lock baggies and froze them so that I could grab a couple of muffins and a travel mug of coffee to have on the half hour commute. This helped me start the day off with a healthy low calorie breakfast and made it less tempting to grab one of the donuts or Danish that always appeared at our morning staff meetings. 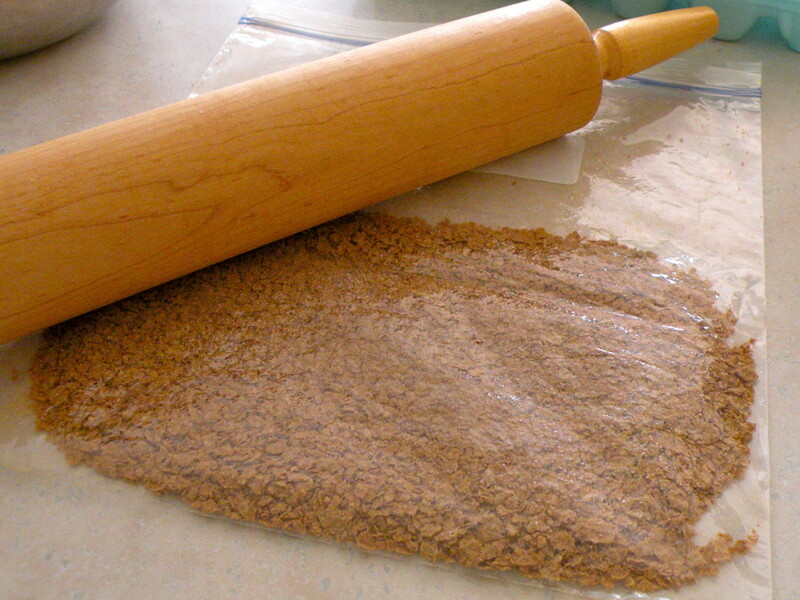 Crush bran flakes by placing about a cup at a time into a plastic zip lock bag and rolling with a rolling pin. Measure 1 1/2 crushed flakes into a medium bowl. *Note: You will need about 3 cups of whole flakes to make 1 1/2 cups crushed flakes. 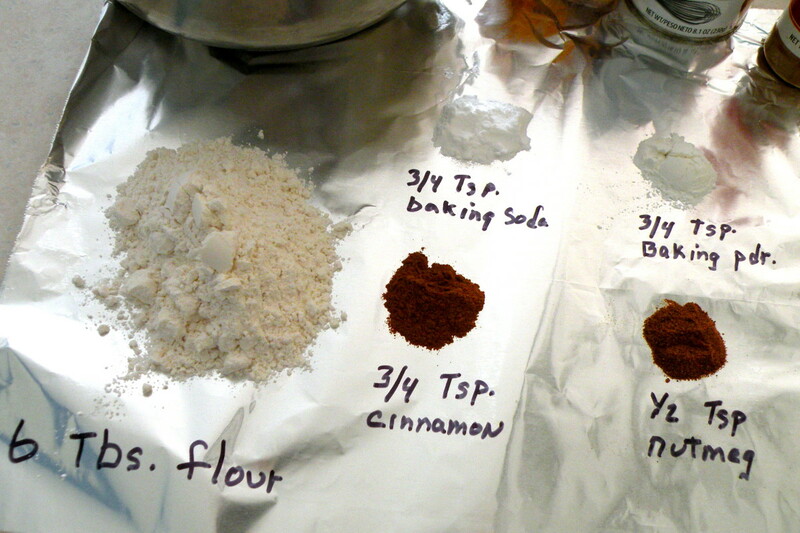 Add flour, dry milk, spices, baking powder and baking soda. Stir dry ingredients with a fork until they are well blended. In separate bowl, mash banana with a fork. Add eggs, applesauce and vanilla to banana and mix well with a fork. Add egg mixture to dry ingredients. Stir well. Stir in raisins. 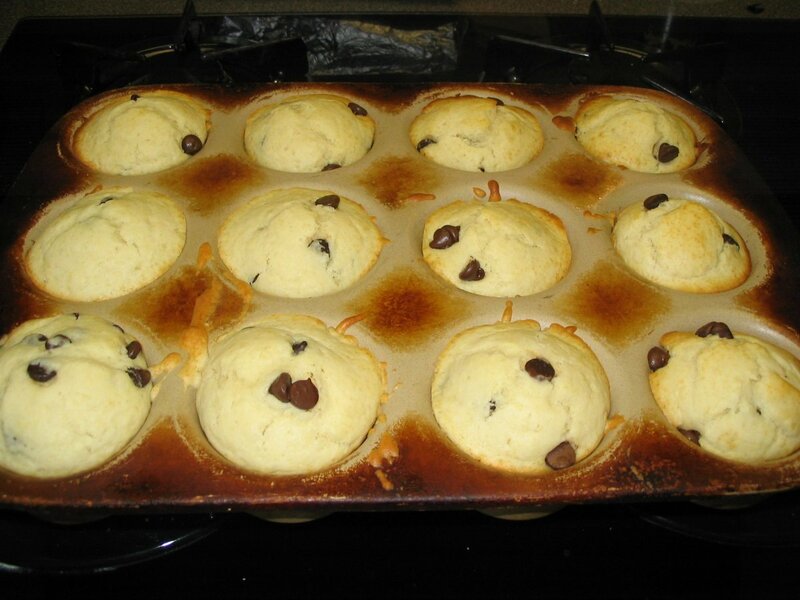 Line 18 muffin tins with paper liners and fill 3/4 full with batter. Bake at 350°F for 15-18 minutes or until done. Cool on racks. These muffins will not rise above the rim of the paper liner. They are quite dense because of the banana and applesauce, but will be moist and tasty. Store in covered container or freeze. Enjoy! Cranberry Bran Muffin - substitute dried cranberries or other dried fruit for the raisins. Applesauce Raisin Bran Muffin - Omit the banana and add an extra 1/3 cup applesauce. Add 1/2 cup chopped nuts to the batter. Substitute brown sugar for the white granulated sugar or use an artificial sweetener to lower the calorie count per muffin by 10 calories. Before baking, sprinkle the tops of the muffins with a little sugar and cinnamon mixed with chopped walnuts. Use your imagination for other tasty combinations! Bran muffins with applesauce, banana and raisins...Mmmmm! You can whip up these easy fruity bran muffins in a jiffy, and you'll be glad you did. If you are counting calories or fat grams, these muffins are just sweet enough to satisfy your cravings. The applesauce, banana and raisins add sweetness to the muffin but it only has a fraction of the sugars, fat and calories of a Danish or regular muffin. So enjoy! Take two, they're healthy! Do you use dry milk in your Raisin Bran Muffin recipe? Mine didn't rise. Yes, I use dry milk. The muffins do not rise a lot; they are pretty dense, but do have good flavor. I don't see why you couldn't use Raisin Bran. It might throw off the calorie count a little, but not enough to worry about. What a clever idea, Stephanie. I do like it. 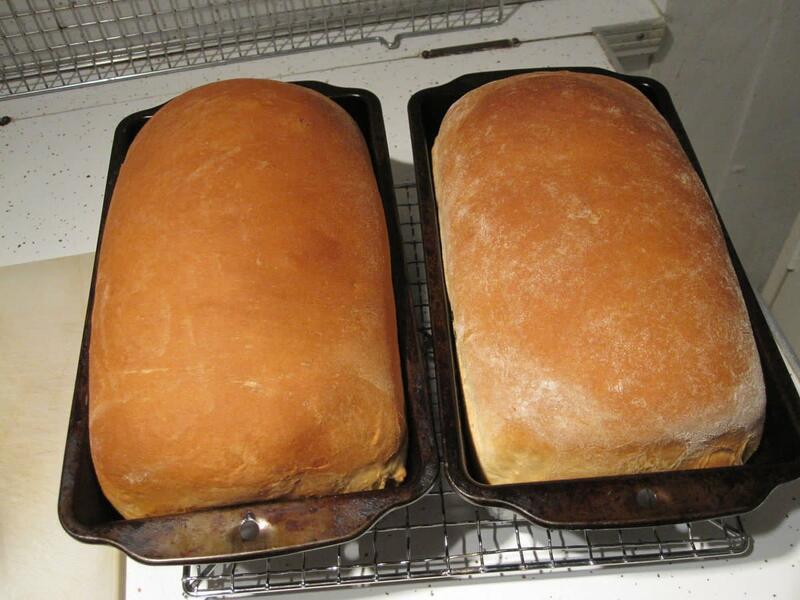 If I were a baker, I would make a batch like you did, too. Glad you like it, Kristen Howe! I often make a double batch to freeze so that I can grab a couple of these muffins for a quick on-the-go breakfast. This is a delicious and yummy recipe. Voted up for interesting! Great recipe looks so delicious. 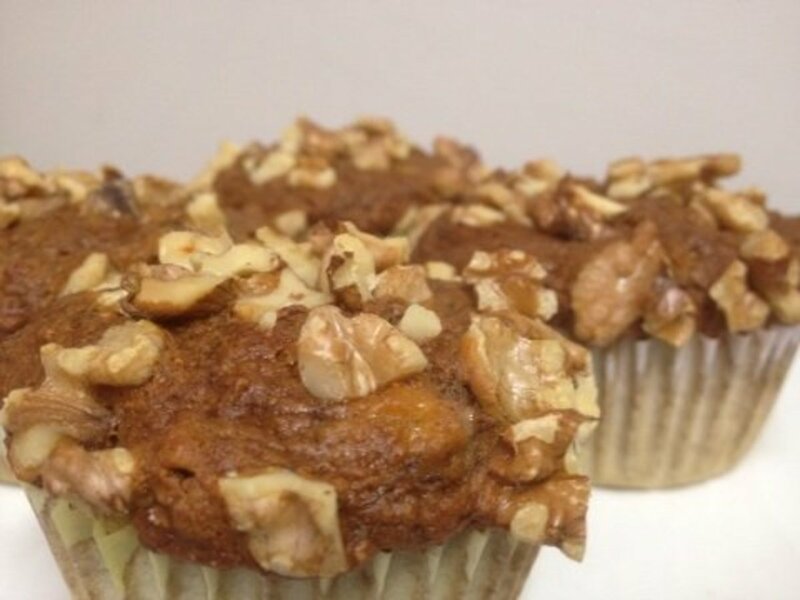 Nancynurse - I love to make these muffins to freeze and have on hand for a quick breakfast on the go. Hope you enjoy them. Pstrauble48 -I hope you enjoy these healthy muffins. The recipe is adapted from an old bran muffin recipe I had when I belonged to Weight Watchers and I always enjoyed it. Thanks for stopping in. Happy New Year! Hi Stephanie...I am always looking for new recipes to add to my collection. This healthy muffin looks and sounds like it would be one I will enjoy. I love the flavor combinations you have chosen. DeborahNeyens - Replacing oil with applesauce is a great way to cut fat and calories, and still keep a nice moistness to the bread or cake. It does work well in this recipe. Thanks so much for sharing this recipe on your Healthy Food Examiner page! I was just telling someone about how you can use applesauce in quick bread recipes as a substitute for cooking oil. I'm going to share this today on my Healthy Food Examiner page! I gotta be honest all these healthy food hubs are making me hungry! Now I want some of these muffins. Yummilicious! Frogyfish - Now that you've both mentioned cranberries, I think I'm going to have to make a batch with cranberries instead of raisins. I do love their tart flavor! Hope you enjoy the recipe! I was going to ask if I could substitute with All-Bran, so PeggyW and you got the info out. 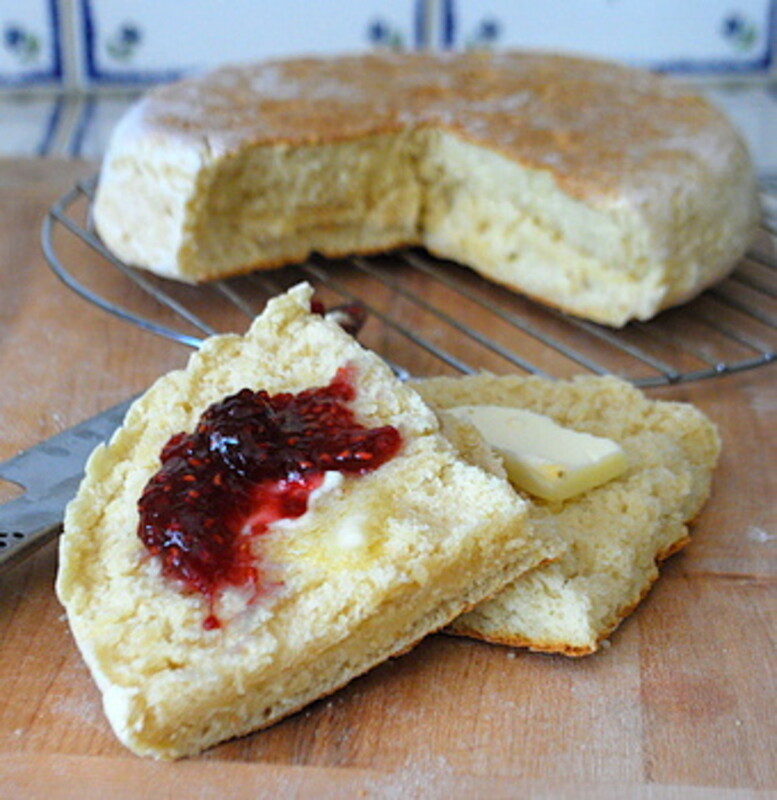 I will have to make these...and have the cranberries already, so there goes...great recipe! 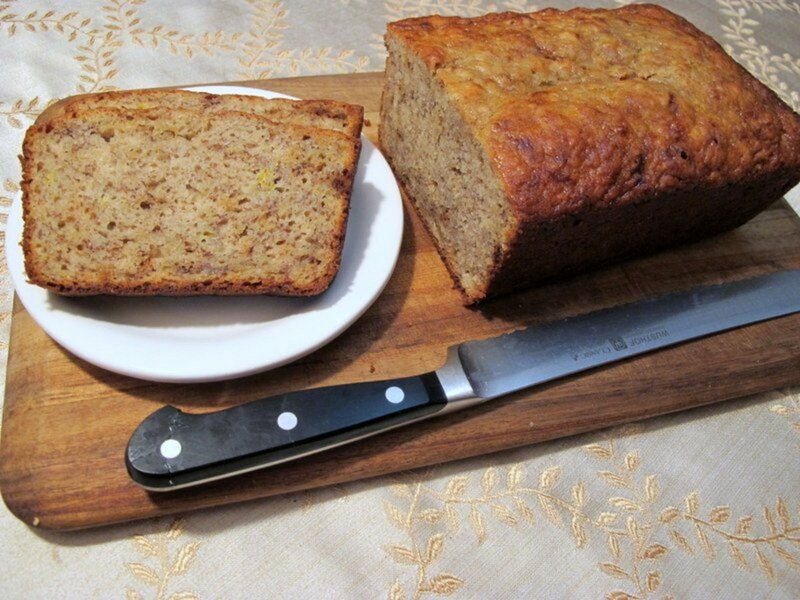 Peggy W - This is an adaptation of a recipe from Weight Watchers that I used years ago. It's nutritious, but still moist and a tad sweet. I'm sure All-Bran would be a fine substitution. Thanks for stopping in to read and comment! These are my kind of muffins! I use All-Bran instead of Bran Flakes and often add fruit to our muffins to cut back on the sugar. Yours sound extra nutritious with the lowfat dry milk and extra eggs. I also add the spices like you do. It is hard finding the All-Bran so will keep your recipe in mind if all we can find are the Bran Flakes in the future. Gave this 5 stars + up and useful. Thelma Alberts - I think you'll enjoy these low calorie raisin bran muffins. They make a perfect healthy snack if you're watching fat and calorie intake. Enjoy! I was about to go to bed when I found these inviting muffins. It´s midnight and now I have to look something to eat first before going to bed. I feel hungry looking at this low fat and healthy muffins. This looks yummy Stephanie. Thanks for sharing. Voted up and useful. I haven't had a muffin in ages... what a tragedy! I'll have to try this recipe out and fix that problem pronto!! 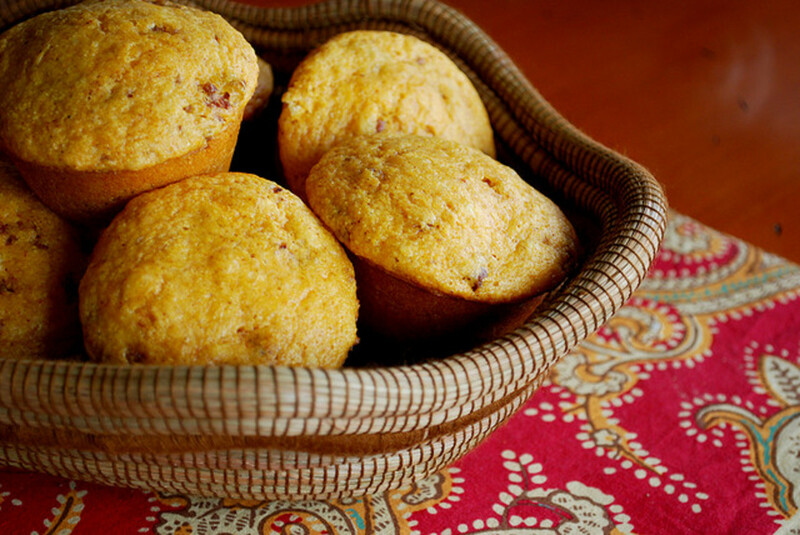 Movie Master - Hope you enjoy some of these fruity raisin bran muffins soon! Thanks for stopping by! Hi Stephanie, delicious muffins and healthy too! a great recipe thank you and voted up. Great recipe, Stephanie! I love finding muffin recipes that are both healthy and tasty. I love your photos and detailed information. 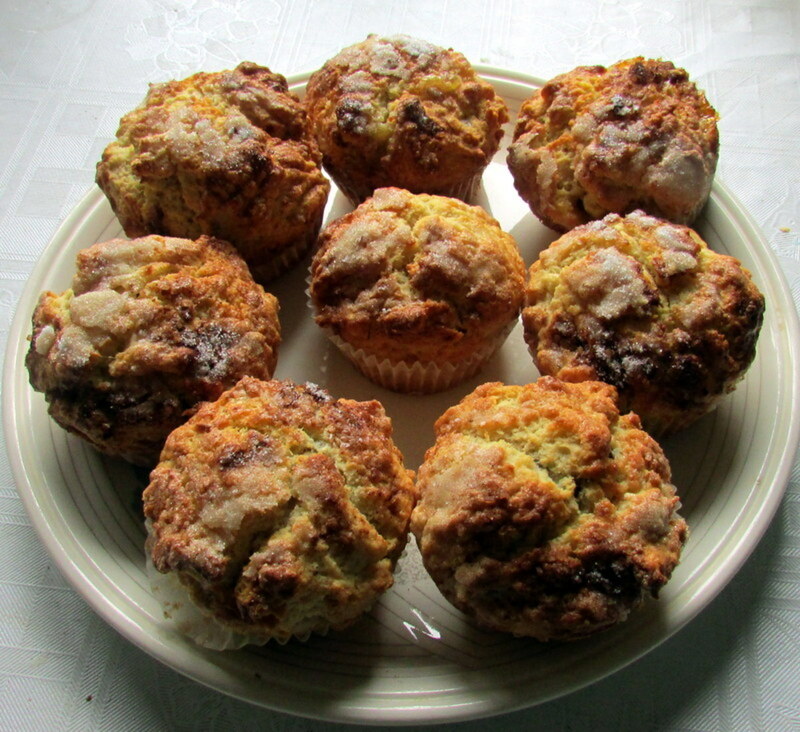 Kashmir56 - Thank you for stopping by to read and comment on my recipe for Fruity Raisin Bran Muffins. If you make them, you might want to try them plain before adding butter or jelly - you might like them that way! Hi Stephanie great recipe, i would love these in the morning, nice and hot and put some butter or jelly on them, awesome ! Vote up and more !!!! Since the recipe has no shortening and just a small amount of sugar, there are no high calorie ingredients added. 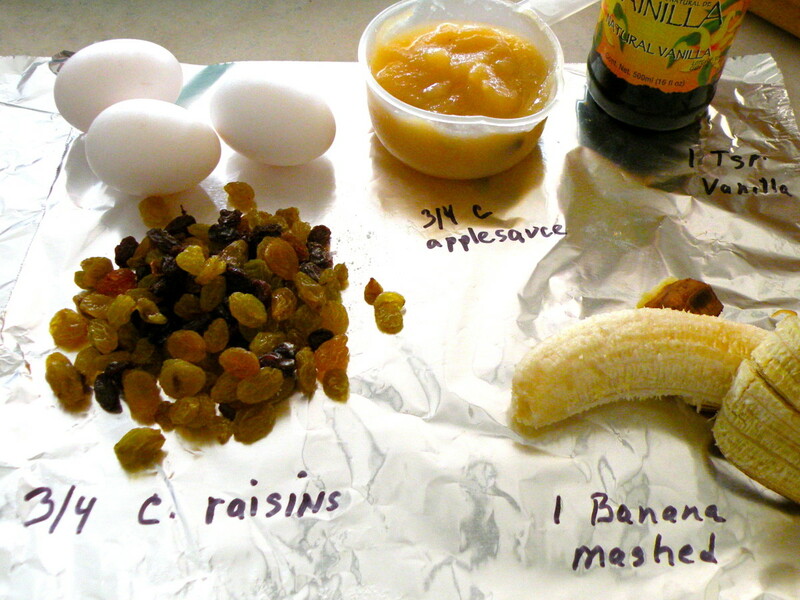 The applesauce, banana and raisins add moisture and sweetness. There are no preservatives, so they will dry out quickly if you don't eat them right away. I like to freeze about half of them to keep them fresh. Thanks for your comments and good rating! Are you kidding? Only 77 calories each? That is almost an impossibility when it comes to muffins! I'm definitely giving this one a try. Thanks for sharing. Rated it 5. RealHousewife - I think the kids would love these as they have a touch of sweetness and the raisins and bran give them a bit of texture. 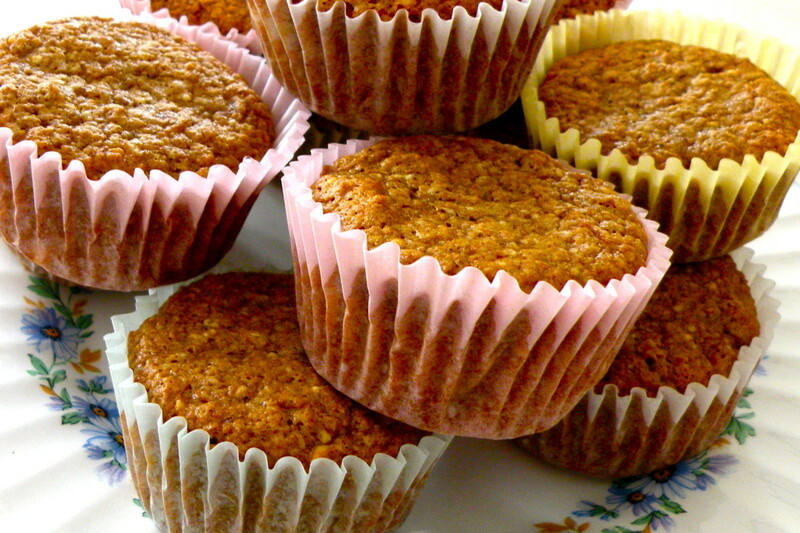 Do enjoy these fruity bran muffins! I bet the kids will love them too! Cclitgirl - Hope you enjoy these fruity bran muffins! The applesauce, banana and raisins make them moist and delicious. Thank you Miss Olive! These little muffins are tasty, that they are also healthy and low cal are a nice bonus! This looks so delicious AND healthy! Yum, yum! I can't wait to try this recipe. I'm going to have to bookmark it for future reference. :) Votes and more! Tasty? I'm sure they are! 77 calories for all these ingredients? Awesome! Great looking recipe hub Stephanie. The pictures, ingredients and instructions are wonderful. Thank you for sharing this with us. Voted up and sharing. 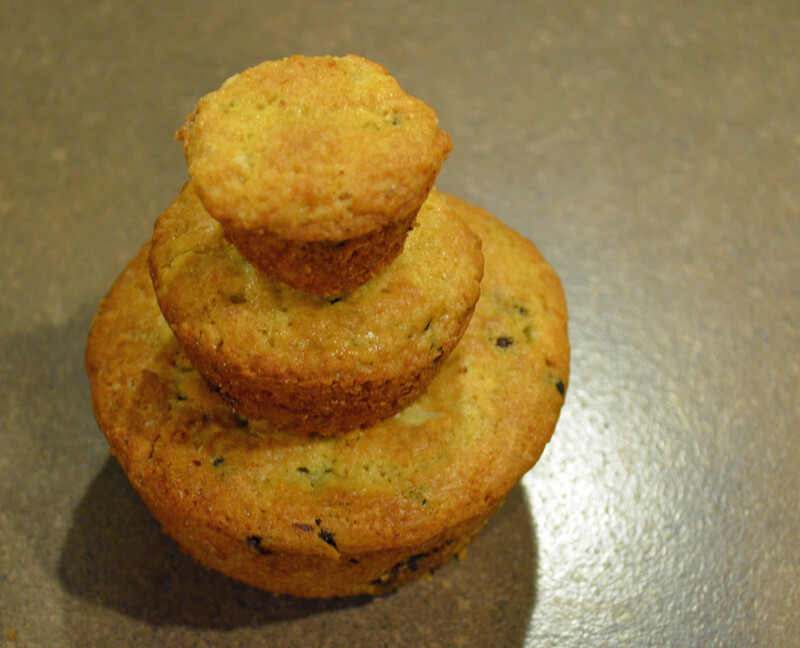 Ktrapp - I just made a batch of these muffins so that I could photograph them for this article...mmmm...good! I like something sweet in the morning and these are a healthy way to satisfy my sweet craving. Hope you enjoy them! This is a great recipe. I love healthy bran muffins like this that can be taken on the go or to have at home. I've made something similar before and have used pumpkin instead of the applesauce and added walnuts or whatever I had on hand. I can't wait to give this recipe a try.